my chosen, in whom my soul delights. The Lord said to me, “You are my Son; today I have begotten you. Blessèd are all who take refuge in him. flashes forth flames of fire. 5For if we have been united with him in a death like his, we shall certainly be united with him in a resurrection like his. 6We know that our old self was crucified with him in order that the body of sin might be brought to nothing, so that we would no longer be enslaved to sin. 7For one who has died has been set free from sin. 8Now if we have died with Christ, we believe that we will also live with him. 9We know that Christ being raised from the dead will never die again; death no longer has dominion over him. 10For the death he died he died to sin, once for all, but the life he lives he lives to God. 11So you also must consider yourselves dead to sin and alive to God in Christ Jesus. This entry was posted in Epiphany, Feast/Festival, Rev. 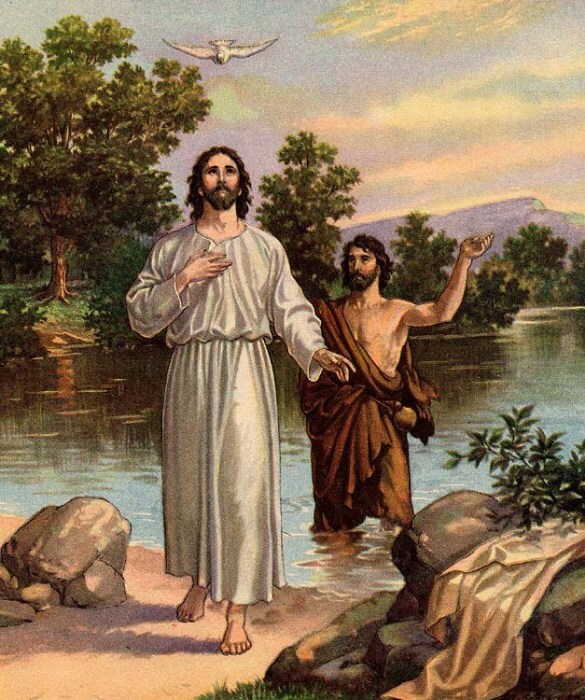 Roth, Sermon, The Baptism of Our Lord. Bookmark the permalink.